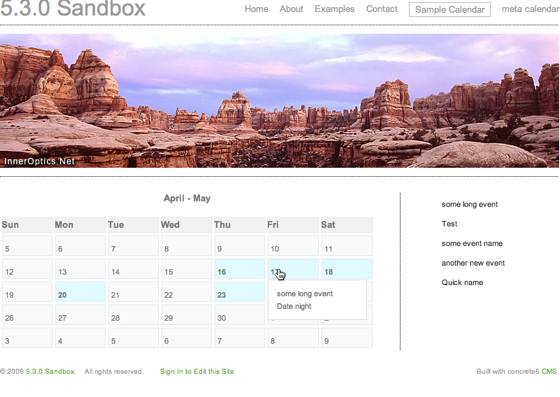 Add multiple calendars to your site, and events beneath them. 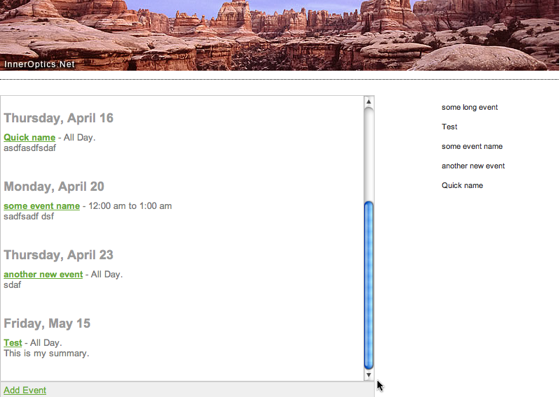 Any calendar can display events from all calendars on the site. 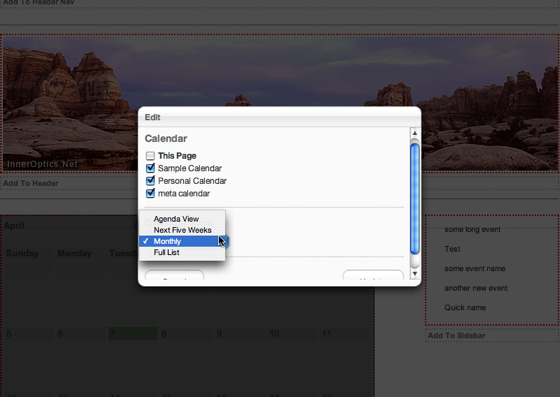 Easily add events in the context of a calendar. Calendar display features four modes: standard month view, agenda view (which lists upcoming events and their summaries in a progressively loaded list), next five weeks, and full list. 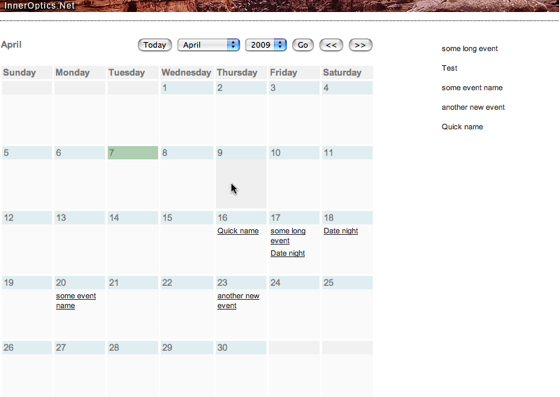 Every event is an individual page, which means concrete5 blocks can be attached to it, it can be moved through the dashboard, etc... Aliased events will work under multiple calendars. 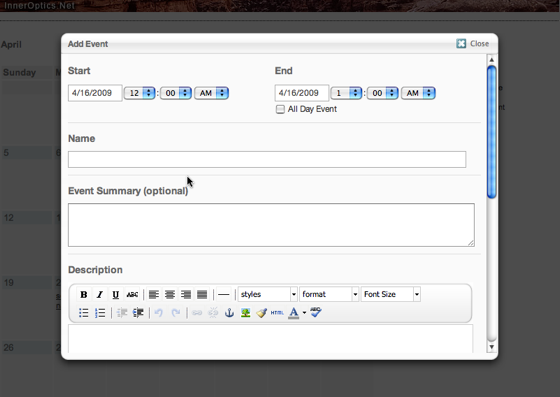 Events can be marked as featured, and a calendar can be set to show only featured events.